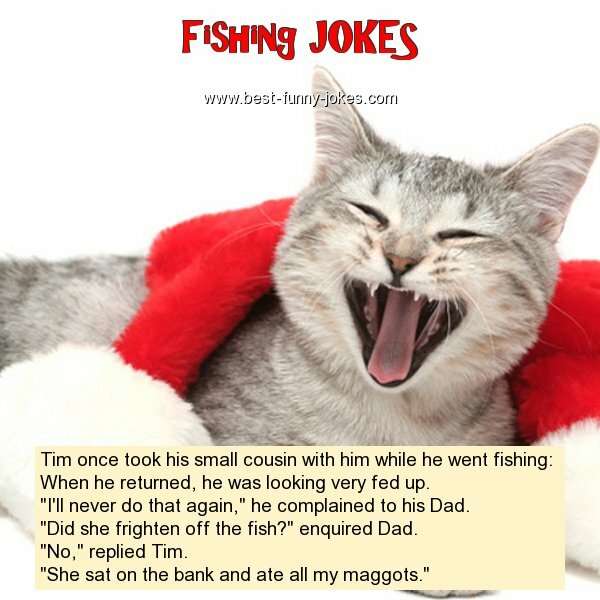 Tim once took his small cousin with him while he went fishing: When he returned, he was looking very fed up. "I'll never do that again," he complained to his Dad. "Did she frighten off the fish?" enquired Dad. "She sat on the bank and ate all my maggots."